To become a certified electrician, you need proper electrician training. This usually includes class work, as well as a hands-on apprenticeship. The apprenticeship generally lasts about three to five years. The classwork portion involves electrical theory and understanding electrical building codes. Many apprenticeships provide the student with a salary during training. To become a journeyman electrician, you need 4,080 to 6,120 hours of on-the-job electrician training and about 144 hours of classroom training each year. You may also wish to obtain a relevant degree and an additional 2 or 3 years of apprenticeship training. In many jurisdictions, you may have to pass a licensing exam to qualify to work as an electrician, unsupervised. With Journeyman status, you will be qualified to train other electrician apprentices. Electrician training includes all types of electrical applications in various construction building styles. You will learn how to install the electrical wiring in residential buildings, commercial buildings and industrial buildings, as well as all basic electronics. 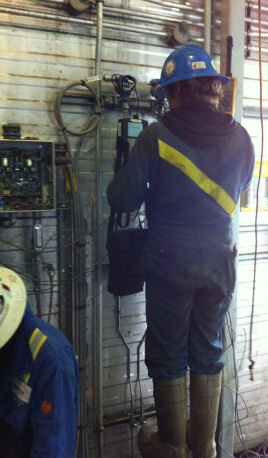 The apprentice learns every aspect of the electrical system and how to maintain the equipment after installation. In order for your time in the classroom and in the field to be credited towards your license, all of your time needs to be well documented. Electricians must be comfortable handling electrician tools such as knives, screwdrivers, hacksaws, conduit benders, pliers, wire strippers and power tools such as saws and drills. Training involves learning how to use electrical testing tools such as harmonics testers, voltmeters, ohmmeters and ammeters to ensure the components are safe and compatible when connected. There are two major components to electrician training: maintenance and construction, sometimes a combination of both. An apprentice over time will learn to read technical blueprints of panel boards, circuit systems, outlets and load centers. Learning this helps the apprentice understand how all of the components, circuit breakers, systems and wires are designed. With this technical knowledge, he is ready to start replacing fuses, repairing equipment, fixing switches, replacing wires and upgrading an outdated system. An electrician preparing for residential work will be taught how to rewire a house, install new lighting, and repair electrical devices like air conditioners, ceiling fans and thermostats. He will learn how to replace old fuse boxes with circuit breaker systems that can accommodate additional appliances as well as various other construction and installation jobs. 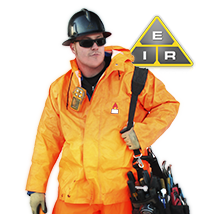 Electrician training in an industrial setting involves much more complicated training. These electricians must be prepared to repair generators, transformers, motors, various electrical machinery and industrial robots. Since the work in a factory is much more complicated and more dangerous, these electricians generally get paid more than residential electricians. See these vital workplace safety tips. Factory trained electricians are often required to collaborate with engineering technicians, maintenance personnel, and industrial machinery mechanics on important decisions like replacing old equipment when repairing it is no longer feasible or has become hazardous. There are various public and private technical schools that sponsor electrical apprenticeship programs. Basically, the only prerequisite is a high school diploma or a GED. You must also find a company willing to take you on as an apprentice. You can find one on your own, or seek the help of a trade union. To start the process you must either attend an accredited electrical training school or join an apprenticeship program. Some apprenticeship programs are sponsored by private companies. Sometimes the employers choose their apprentices, set the training standards, and pay wages to the apprentice. Generally, an agreement is signed clearly outlining all the details the apprenticeship program includes. This usually covers on-the-job skills the apprentice will be taught, electrician wages and other compensation to be paid, total number of years estimated to complete the training, and other factors necessary to complete the apprenticeship program to prepare the apprentice for the final exam. Not everyone is fortunate enough to be sponsored by a private company. Most would-be apprentice signs up with a trade union. These unions have special connections with companies willing to hire and train apprentices in various trades. To be considered for a position as an apprentice, you must complete an application, which includes a skills test, comprised of half reading and half algebra. You must also posses a valid driver’s license. The skills test part of the application is scored on a nine point scale. Both the reading portion and the algebra portion require a score of four or more in order to move on to the next part of the application process. The next part of the application involves an interview with a local apprenticeship program sponsor. The interview is scored on a scale of zero to one hundred. Only a limited number of positions are available, so the most suitable applicants will be selected. Qualifying applicants not selected may be put on a waiting list for up to two years. Being an electrician is a very rewarding and sought-after career. An apprenticeship is part of the training process.